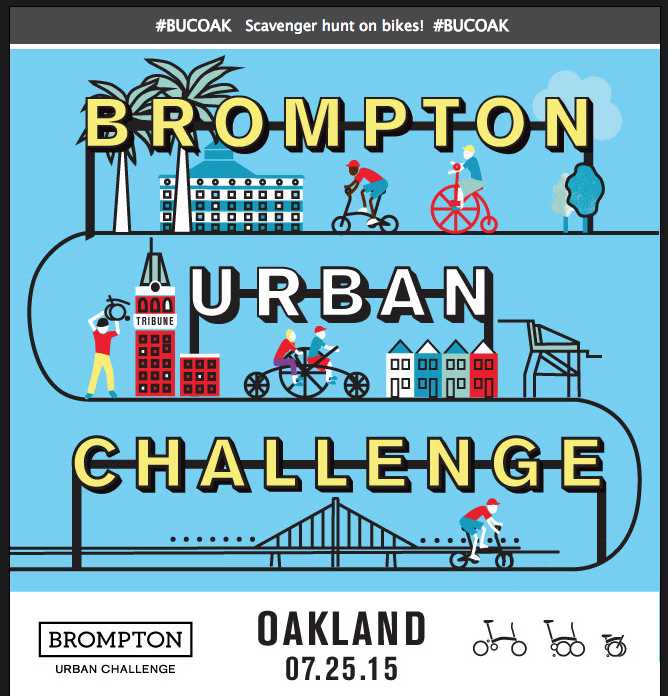 Bay Area Bikes will be hosting North America’s first Brompton Urban Challenge right here in Oakland, CA. What a delightful treat! Here’s an email I received from Bay Area Bikes and want to pass it along. Pedalfest, our annual tsunami of bike fun is right around the corner. New to this year’s event offerings is Brompton’s first-ever North American Urban Challenge. 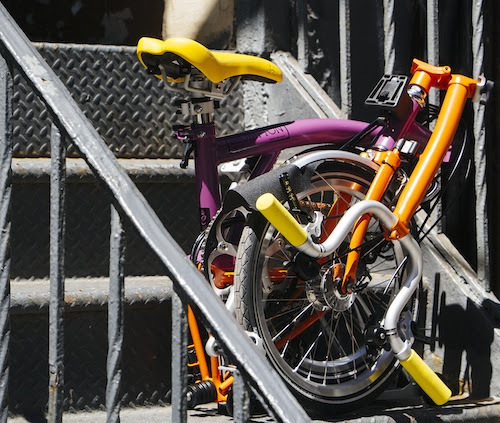 For the uninitiated, Bromptons are simply the most fabulous compact folding bikes around and as the Bay Area’s most renowned Brompton dealer, we’re honored to be the first to host this event. The Challenge will take the form of a scavenger hunt with all types of bikes tooling around downtown Oakland in hot pursuit of famous landmarks, hidden gems, and highlighted bicycle-friendly businesses. I’m inviting you, as a fellow business owner or community leader, to create a team of your cohorts to participate in the Challenge! Make it a team-building event; challenge a neighboring business; have fun with it! Rules are simple: follow a series of clues across the city, snap photo evidence of the answers and post to social media. Interpretation of the clues earns extra favor in the eyes of the judges (oh yes, there will be prizes)! The route will include classic Oakland landmarks and a mix of special locations only revealed on Brompton Urban Challenge Day. No Brompton? No problem! Register for the Challenge and we’ll hook you up with one of the limited Bromptons available on a first asked basis. Or you can bring your own bicycle, provided that your team has at least one participating Brompton rider. The Challenge starts and finishes at Jack London Square and runs from about 10-4. Family and friends can partake in Pedalfest activities while you’re on your challenge, and can track your adventure by following the hashtag #BUCOAK. And since your registration includes a free Pedalfest beer token, you’ll be sure to want to stick around after and take in all the Pedalfest activities. Take the Challenge and show your Oakland knowledge and pride on July 25th!